To mark messages as spam, highlight the message, select junk > and then report to Microsoft. Report spam or messages that are genuine to Microsoft Report spam messages to Microsoft by using the Report message feature. 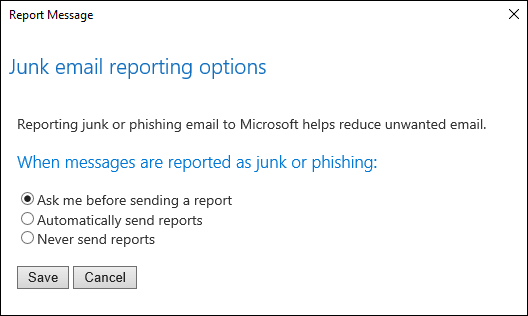 Additionally, you can send a message to junk@office365.microsoft.com and attach one or more messages to report. Important If you do not forward the messages as attachments, then the headers will be missing and we will be unable to improve the junk mail filtering in Office 365.